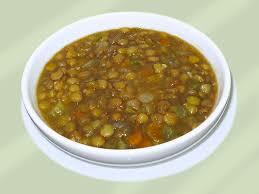 Asopao de Gandules - Green Pigeon Pea Soup - Tienditadepuertorico.com - Buy Puertorican Food Here!! is cooked and the soup has thickened. Add the cilantro just before serving.